Get ready to meet our Gnome on his Throne! Or... you may want to hold off, he's a little busy at the moment! 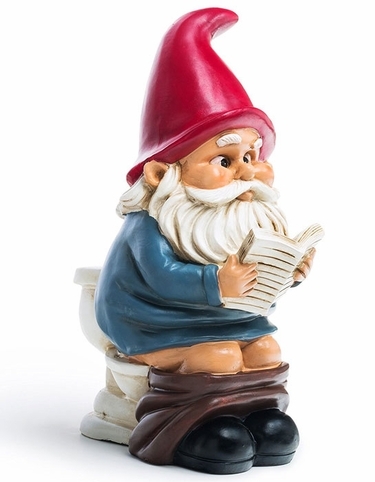 For anyone who takes their gnome collection a bit too seriously, for anyone with a toilet dwelling husband in the house, for anyone simply looking for funny bathroom decor or a gag gift you'll love this silly toilet gnome! Size: 9" tall, Cast Resin.